The OnePlus 6T gets official later this month, and recently the Chinese company's teasers have been competing for our attention with a huge amount of leaks. 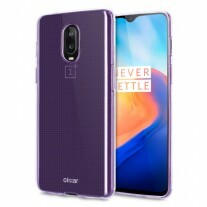 OnePlus has already officially confirmed that the phone will not come with a 3.5mm headset jack, and also that it will sport an under-display fingerprint scanner. If for some reason you still had trouble believing those facts, today's leaked images should convince you once and for all. Case maker Olixar has already prepared an entire assortment of accessories for the OnePlus 6T, and these are all listed on UK-based retailer MobileFun's website, ready to be pre-ordered. 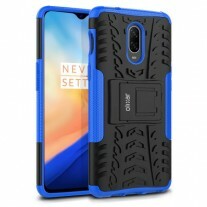 You get simple gel cases in three colors, but also very rugged-looking ones (again in three different hues). If you like the concept of a wallet case, there's one of those too, and it even has RFID blocking capabilities for the paranoid. Finally, Olixar is even offering a bundle with a case that has a carbon fibre and brushed metal design, which you can get alongside a glass screen protector. 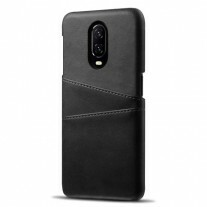 Of course, OnePlus will also have its own collection of accessories for its next flagship smartphone, the prices for which have been leaked not long ago. 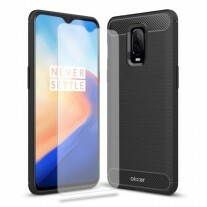 These new images show the teardrop notch once again, the small chin at the bottom of the display, the horizontally centered vertical dual rear camera setup on the OnePlus 6T's back, and obviously a default wallpaper with the Never Settle slogan plastered on top. The phone is expected to be powered by the Qualcomm Snapdragon 845 chipset, paired with up to 8GB of RAM. The screen will be an AMOLED with 1080x2340 resolution and 19.5:9 aspect ratio. Keeping everything neatly chugging along will be a 3,700 mAh battery with fast charging. The handset should run Android 9 Pie from day one.